»We have been organizing “Japan Powder Technology Forum in Indonesia” since the first (2012, Jakarta). This research group was launched in 2007 when Wuled Lenggoro moved from Hiroshima Univ. to Tokyo Univ. of Agriculture & Technology (TUAT), through TUAT/MEXT/JST-Special Coordination Funds for Promoting Science and Technology, a program on Japan’s 1st generation tenure-track faculty. To create new knowledge in Chemical Engineering and Aerosol-Particle Technology, and to prepare undergraduate and graduate students for successful careers in these respective fields. We are located in BASE building, Koganei campus. We are part of (i) Graduate School of Bio-Applications and Systems Engineering (BASE) and (ii) Department of Chemical Engineering, School of Engineering, and (iii) Institute of Engineering of TUAT. For post-graduate/doctoral degree: Can start the course in April or in October. Ability of Japanese language is not necessary. For full consideration, you should send CV, statement of research interests, and the names and addresses of at least two references (senior fellows). Physical Address: Lenggoro Lab, BASE Grad. School, Tokyo Univ. Agr. & Technol., 2-24-16, Nakacho, Koganei, Tokyo 184-8588. Founded in 1949, Tokyo University of Agriculture and Technology (TUAT) is a public university focusing on engineering and agriculture. TUAT is small (~5797 students) but is one of the largest recipients of royalty income from patents among Japanese higher level education institutions. 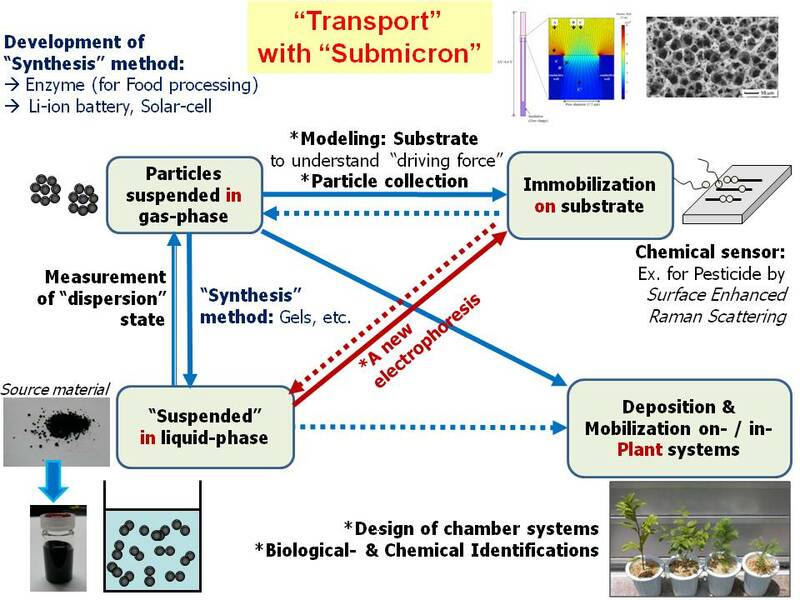 【物質】Aerosols 気中に浮遊する微粒子, Colloids 液中に浮遊する微粒子, Liquid, Particle 粒子, Pesticide 農薬, Plants 植物, Powder 粉体, Water (sample).